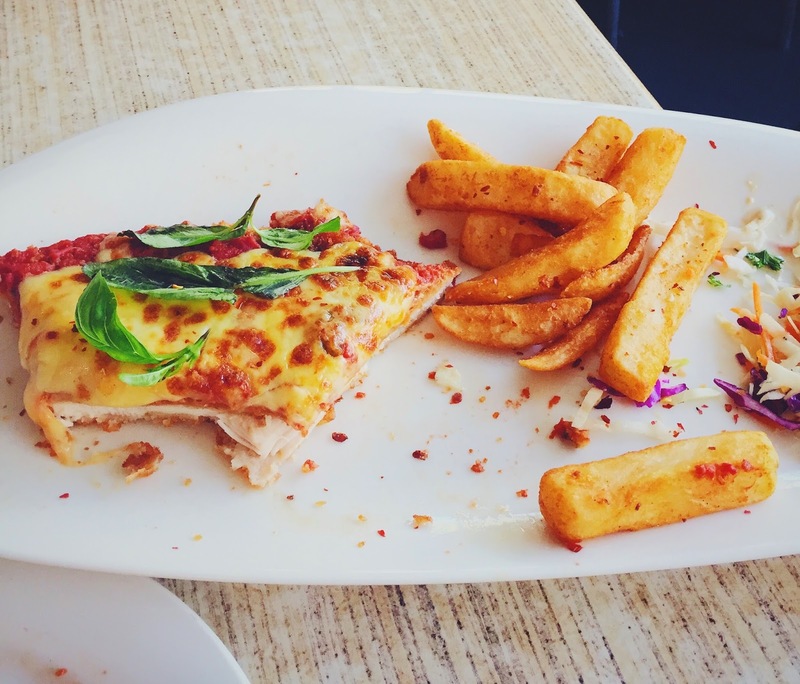 This may not be the best parma ever, but it’s certainly one of the biggest. And for a little over $10, there’s really nothing to complain about. 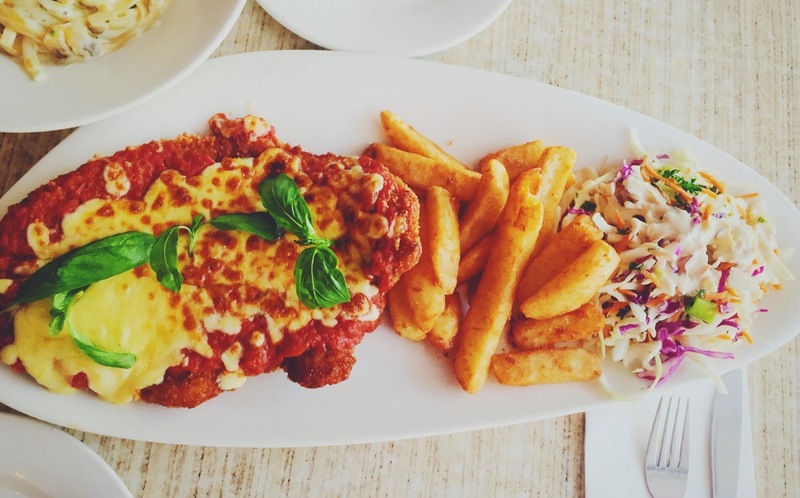 Although the cheese doesn’t cover the entire chicken schnitzel, and it was a little dry. The chips were amazing, not super crunchy by any means, but the combination of the light seasoning on the outside and the fluffy centre was delicious, I would polish them off if the parma wasn’t so gigantic. Their lunch menu was pretty cheap so we ordered a pasta dish off that too. This was quite bland however, and it’s not what I expected at all. 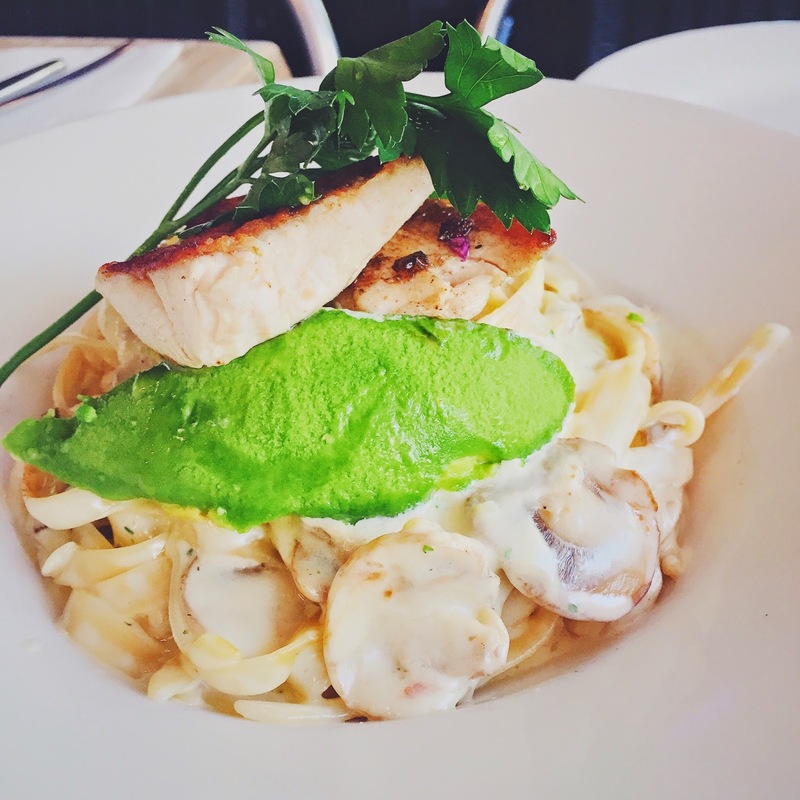 I thought the chicken and avocado will be cut into slices and tossed through the pasta, oh well. Ample amount of salt and pepper was needed, as the sauce lacked flavour. Universal can be a bit of a hit and miss, and the service can be pretty atrocious at times. But $14 parma just isn’t something I’m willing to part with just yet, so yeh, this is a restaurant I will return to when I’m extremely hungry but only have a $20 note on me. Universal is located on Lygon Street, hop on any tram heading out of the city from Flinders Street or Melbourne Central and get off at Lincoln Square, it’s a short 5 minutes walk from the tram stop.